A question that was asked during my presentation of “Canadian Architects of the Chicago School 1884 – 1935” to the Racquet Club of Chicago was about the iconic Canadian railway hotels, and what role they played in the development of Canadian architecture and society during this time period. The question was probably brought about by my mention of Frank Lloyd Wright’s extended visits to the Banff Springs Hotel, during the execution of his collaborative project with Francis C. Sullivan of the Banff townsite’s Recreation Pavilion. I literally grew up in the shadows of Canadian railway hotels. The waiting room of the Canadian Pacific Railway station in Vulcan, Alberta was adorned with several large travel posters promoting the Chateau Frontenac in Quebec City, the Empress Hotel in Victoria and the Banff Springs Hotel. These were among the hotels built by the CPR. 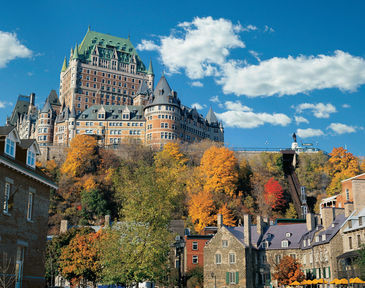 The competing railway – the Canadian National – had establishments like the Hotel MacDonald (Edmonton), the Fort Garry (Winnipeg) and the Chateau Laurier (Ottawa) in their portfolio. All have since come to be dubbed “chateauesque”. 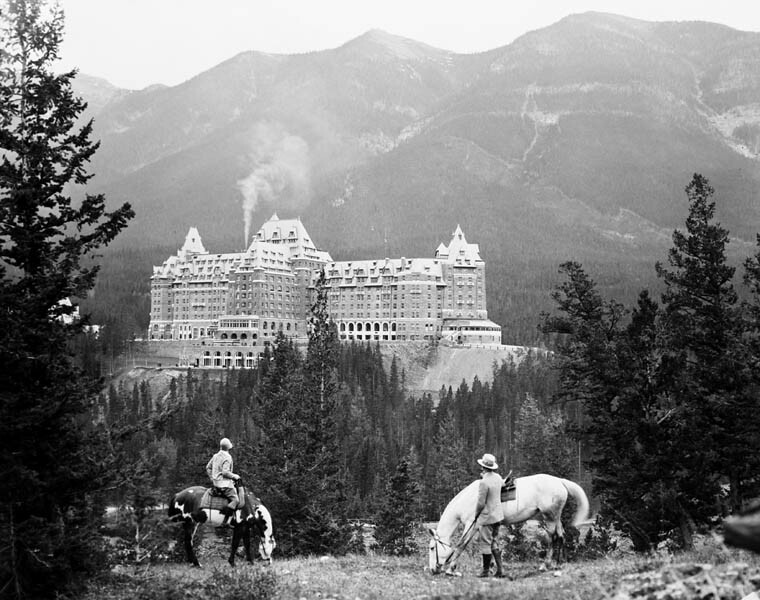 The central architect who began this movement – Bruce Price, an American who practiced in New York City – was charged with creating something “Scottish Baronial” for the Banff Springs Hotel, then for the Chateau Frontenac in their original incarnations. The imagery grew in both physical and cultural proportions. 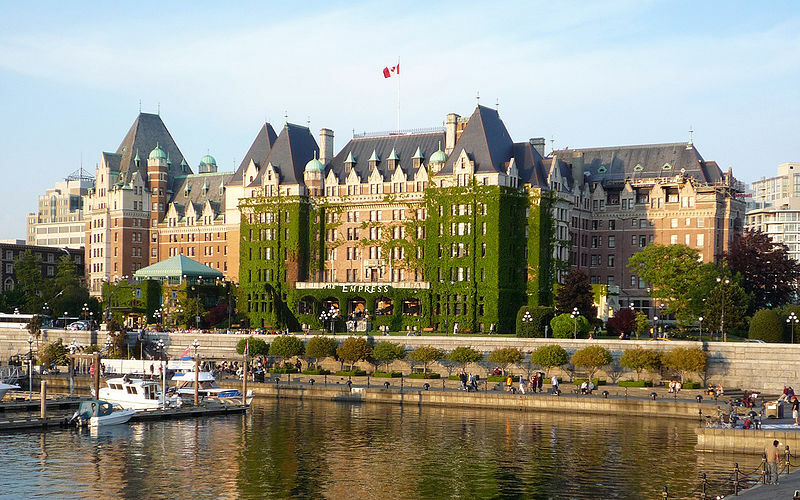 In virtually any Canadian city that had a railway hotel, that establishment set social and etiquette standards for the city in which it was located – the hotel became that city, just as that city became its hotel. Of note – perhaps coincidental – is that the daughter of architect Bruce Price was Emily Price Post, who was an authoritative author of various books about manners and etiquette. How appropriate. When the concept was being “visioned” – as we would call it today – then CPR President William Cornelius Van Horne made the comment: “If we can’t export the scenery, we’ll import the tourists.” Both Banff and Quebec enjoy truly outstanding natural settings. One might ascertain that any hostelry plopped down in this setting may have been a success: perhaps. Imagine, if you will, some sort of lodging reminiscent of post-war housing in eastern-bloc countries were plopped in the middle of Banff, or Quebec City, neither of those settlements would have blossomed into what they are today. It could even be that neither of the lodging establishments would have had any sort of longevity. The lesson here is that if your town is planning to take a prominent site and build tourist lodging, the lodging had better be of a quality your town wants to be; lest your town become the same quality as the lodging establishment. Inexpensive motel or a sensational place – it’s your choice.